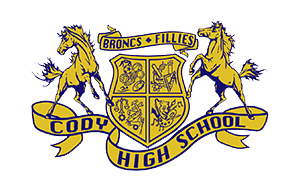 Cody High School serves about 600 students in the friendly, supportive community of Cody, Wyoming. Our education team works together with parents and other community members to provide our students with enriching and challenging learning opportunities. See how we do it here. All students learn at high levels through work that we purposefully design to be relevant and engaging within a supportive environment. CHS faculty and staff work hard every day to create a supportive atmosphere where we apply the Park County School District 6 beliefs values to day-to-day situations. We believe all students achieve excellence and become innovative and creative when provided engaging, relevant, and meaningful work. 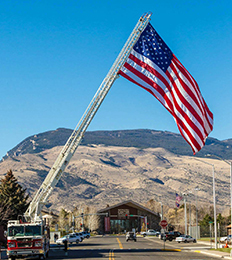 We believe in an emotionally, intellectually, and physically safe environment for all. We believe what students have to say matters. We believe in working collaboratively with all stakeholders. We believe in integrity and treating all with dignity and respect. We believe positive relationships build healthy communities. From challenging academic programs to engaging extracurriculars, find out how CHS encourages lifelong learning.